Other improvements include upgraded Bluetooth codecs in all models except for Bluesound’s entry-level powered tabletop speaker, the Pulse Flex 2i ($299, all prices USD). 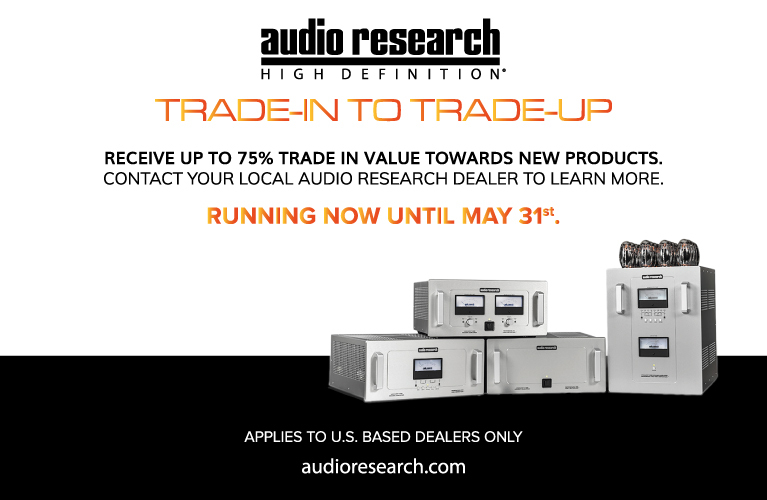 All Generation 2i speakers have improved amplifiers and driver configurations. The Vault 2i CD ripper-server-streamer ($1199), reviewed here, lacks built-in Wi-Fi, but all other Bluesound products have it. Generation 2i models have dual-band 802.11ac Wi-Fi, for faster, more robust connections than the single-band 802.11b/g/n Wi-Fi networking used in their Gen 2 counterparts. Of course, the new products must be used with an appropriate router to deliver this improved Wi-Fi performance. Also on October 1, Lenbrook released a new version of the BluOS operating system on which its Bluesound products run. Besides enabling the new Bluetooth codecs, BluOS 3.0 contains the plumbing for Amazon’s Alexa voice control, which can be used with all Bluesound products, not just Gen 2i models. Shortly after the announcement, Lenbrook asked if I would be interested in reviewing the new series. Mos’ def, I replied, and suggested separate reviews of the Vault 2i and the Pulse 2i active tabletop speaker ($799). I picked up samples from Lenbrook’s head office in Pickering, Ontario, in mid-October, with the goal of publishing reviews in November and December. It didn’t make sense to review the new products without experiencing signature features like AirPlay 2 and Amazon Alexa voice control. However, Apple didn’t approve the BluOS update enabling AirPlay 2 until early December, and the update was pushed out by Lenbrook on December 11. On December 14, Lenbrook confirmed that the first set of Alexa skills for Bluesound would be available on January 15, 2019. These delays necessitated an adjustment in my reviewing schedule. I’ll cover AirPlay 2 and the new Bluetooth features in this review. In my review of the Pulse 2i, now scheduled for March 15, I’ll discuss how Alexa works with the new BluOS 3.0. If you’re already familiar with the Vault and underlying BluOS software, and just want to know what the Generation 2i version offers, you can jump ahead to the “AirPlay and Siri” and “Bluetooth” sections, near the end of this review. The name says it all. The Vault 2i stores all of your digital music, and plays it throughout your house. It has an optical drive for ripping music from CDs, and a 2TB hard drive for storing your music library. Like all Bluesound products, the Vault 2i can stream audio from a wide range of subscription services, including Tidal and Qobuz, both of which offer high-resolution content. From its launch in 2013, Bluesound stood out among multiroom music systems with its strong support of hi-rez audio. 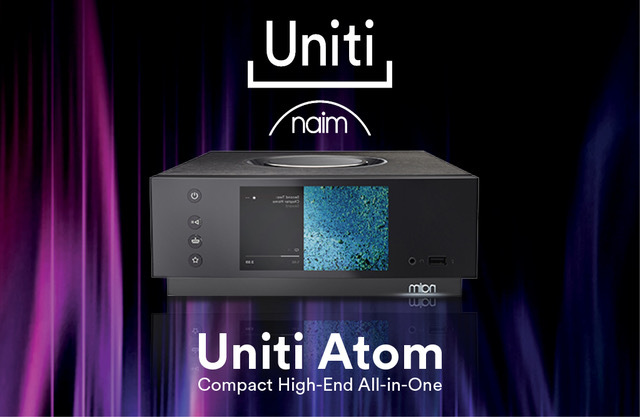 It can play files up to 24-bit/192kHz, and supports the MQA format used by Tidal. Available in black matte and white finishes, the Vault 2i is an attractive component, with a rubberized plastic finish on its top and sides, and a black control panel at the center of its top plate. Those controls are really useful -- they let you perform key operations (Volume Up/Down, Next/Previous, Play/Pause) without having to use the BluOS controller app. It measures 8.7”W x 3.54”H x 7.55”D and weighs 4.05 pounds. On the back are RCA stereo line-level output jacks, coaxial S/PDIF digital out, subwoofer output (with 80Hz low-pass filter), a 3.5mm input jack that can be used for stereo analog audio or TosLink digital, an Ethernet port, two USB ports for connecting external drives formatted with FAT32 or NTFS, and a Micro-USB port for servicing. On the front panel is a 3.5mm stereo headphone output, just below the center slot for the optical drive. The Player Settings menu of the BluOS app includes an Auto Sense option that automatically switches the Vault to the optical or analog input whenever a signal is detected. Alternatively, you can set the Vault to automatically switch to the optical or analog input whenever you power up the TV -- which is what I did. You can also teach the Vault to respond to other IR remote commands, such as Volume Up/Down and Play/Pause. It’s worth noting that the Bluesound Node 2i streaming preamplifier ($499) has the same audio circuitry and connectivity as the Vault 2i. The only difference is the Vault’s ability to rip CDs and store music. The PowerNode 2i streaming amplifier ($799), specified to output 60Wpc, has similar connectivity to the Node 2i and Vault 2i, but substitutes speaker terminals for line-level analog output. Other than my comments about the Vault 2i’s abilities to rip and store, most of what I say about it here also applies to the Node 2i and PowerNode 2i. After picking up the review samples, I installed the Vault 2i in my main-floor living room and the Pulse 2i in my second-floor office. Because the Vault 2i lacks Wi-Fi, I hardwired it to an Ethernet port on a nearby Google Wifi access point. Setting up the Vault 2i was dead-simple. After connecting the power cord and Ethernet link, the next step is to download the BluOS controller app to your smart device from Google Play or Apple’s App Store. Since the Vault 2i is already on your network, the app will automatically detect it and invite you to give it a name -- I entered “Living room,” as that’s where I set up the Vault 2i. Now it was time to add some music. In the app’s Navigation Drawer, which you select by pressing the three-line Navigation Button at top left, there’s an option for adding music services. When you select this, you’ll see a list of supported streaming services; choose one of these and you’ll be taken to a screen where you enter login information and specify quality level. All of your streaming services will appear in the Navigation Drawer. There are two ways to load music onto the Vault’s 2TB drive. One way is to copy files over a network. On my Mac Mini, which serves as my main music computer, the Vault 2i showed up in macOS Finder as “livingroom” (the name I gave the Vault during setup). Following the path livingroom>shared>Music took me to the folder where music files are stored on the Vault. To copy albums to the Vault, all I had to do was open another Finder window, select the folders and files I wanted to copy, and drag them to the Vault’s Music folder in the other Finder window. If you’ve ever copied a word-processing file from a PC to a thumb drive, you’ll have no problem loading files onto a Bluesound Vault. The other way is to use the Vault’s CD-ripping function. In the app’s Settings menu is an item called Ripping, which lets you choose the format you want to use for ripping CDs: FLAC, MP3, WAV, MP3+FLAC, or MP3+WAV. (I opted for FLAC.) When you insert a CD, the Vault 2i then automatically rips it to your music library, and searches the Internet for metadata and album art. Ripping complete, the Vault spits out your CD, and the album appears in the Vault’s Library. It would be nice if you could edit metadata for ripped CDs in the BluOS controller app, but you can’t. However, you can use a metadata editor on a PC or Mac to do this. I used Tag ($4.99 in the App Store) to edit metadata for a few albums I ripped with the Vault 2i, so that it would follow the same conventions I use for the rest of my music collection. The process was the same as it would be with an album stored on my Mac Mini, the only difference being that I had to navigate to the folder on the Vault 2i (the path was shared>livingroom>Music>albumname). Overall, BluOS is a rich platform with a wide range of capabilities, and it’s pretty easy to get started with it. You select the Bluesound player you want to use in the Players drawer, which you open by clicking the little house-shaped icon in the upper-right corner. You can group Bluesound players together for multiroom music. Then tap the three-line Navigation button at upper left to enter the Navigation drawer. There, you can select music from your streaming services and music library. Most of my listening was done through the Kii Three active speakers, which I recently reviewed for Simplifi. I connected the Vault 2i to the companion Kii Control interface box with a 2m AudioQuest Carbon S/PDIF cable. As this was a digital connection, I bypassed the Vault 2i’s built-in DAC and audio circuitry. There’s not a whole lot I can say about its audio performance, other than comparing it to a couple of other digital sources. Pro-Ject’s Stream Box S2 Ultra, also recently reviewed on this site, is not a server or CD ripper, but it will play locally stored music from attached USB drives. So its functionality is similar but not identical to the Vault 2i’s. With most music I heard no meaningful differences between the two products, with one exception: streaming MQA-encoded music from Tidal. Bluesound products can perform MQA core decoding in software, so that you get some of the benefits of MQA even with a non-MQA DAC. The Stream Box S2 Ultra supports MQA, but only when connected to an MQA DAC. Playing MQA-encoded hi-rez content from Tidal through the Kii Threes, the Vault 2i delivered sound that was slightly more spacious and harmonically richer. The biggest difference between the two products, though, was in their operating systems. BluOS is more polished than the Stream Box S2 Ultra’s open-source software, with many more functions. I also compared the Vault 2i to a MacBook Pro running Audirvana 3.2.12 music-management software, connected to the Kii Control with a 2m AudioQuest Cinnamon USB link. I cued up a favorite track from Rava on the Dance Floor, a wonderful live album of (mostly) Michael Jackson covers by Enrico Rava & the Parco della Musica Jazz Lab (24-bit/44.1kHz ALAC, ECM). “They Don’t Care About Us” is a wild romp that begins with delightfully cartoonish effects on the horns, accompanied by tinkling piano and percussion, and ends in a funky mêlée of horns, percussion, keyboard, and guitar all going bonkers. I thought the sound was a bit bigger through the Vault, with more space around the musicians. From the MacBook Pro, there was a bit of harsh edge on the horns that wasn’t there on the Vault. But the difference was very small. Streaming “Gonna Send You Back Where You Started From,” the lead track in Van Morrison’s latest album, The Prophet Speaks (24/96 MQA, Caroline International/Tidal), I thought the Vault 2i sounded a tiny bit smoother. But Morrison’s voice stood out a little better via Audirvana and the MacBook Pro, and instruments were more delineated. Again, the differences were tiny to the point of insignificance. Both the Vault 2i and Audirvana were performing MQA Core decoding, the first unfolding being done in software. As for the software itself, I think Audirvana and its A+ Remote iPad app compare favorably with BluOS in robustness and polish. BluOS supports many more streaming services, and has extensive multiroom features, but Audirvana can play DSD files, which BluOS cannot. Finally, we come to the new features included in Bluesound’s Generation 2i products. When I fired up the BluOS app on December 12, there was a notification that a software update was available for the Vault 2i and Pulse 2i. I confirmed that I wanted to update the two devices, and about ten minutes later the process was complete. After the update, when using the Music app on my iPhone SE or iPad Mini, I could send music to the Vault 2i in my living room and/or the Pulse 2i in my office, with independent volume control for each, by clicking the Sharing icon in the Playing screen. This worked for both music stored on the iPhone and songs streamed from Apple Music. You can also use Siri voice control to send to the Bluesound players music stored on your iDevice or content from Apple Music. First, you have to add the players to the Apple Home app. Having done this, I could send music to the Vault by holding down the home key on my iPhone SE to get Siri’s attention, then saying something like, “Play an album by Sufjan Stevens in the living room” (i.e., the Vault 2i). That done, a message appeared on the screen -- “OK. Here’s the album ‘Carrie & Lowell’ by Sufjan Stevens . . .” -- and the album began playing. You can also stream music from other apps. In the Tidal app on my iPhone SE, I could click the Sharing icon in the Playing From screen, and see available AirPlay and Bluetooth devices, which included Living room and Office, then stream to either or both of them. In the Qobuz app, the Sharing icon is to the left of the transport controls in the Listening window. Choosing it took me to a Qobuz Connect screen, with another (very faint) Sharing icon at the bottom. From there, I could choose the AirPlay 2 devices I wanted to use for playback. I could also send music to the Bluesound players from the iTunes app on my MacBook Pro and Mac Mini by clicking the Sharing icon to the right of the volume slider. Alternatively, I could open the Control Center on my iPhone or iPad, then tap the Audio card in the upper-right corner and choose the Bluesound devices (or other AirPlay devices) I wanted to use for playback. It’s possible to integrate older Bluesound components into an AirPlay 2 system by grouping them with a new Generation 2i model in the BluOS app. To do that, you open the Players drawer in the BluOS app by pressing the house-shaped icon at upper right, and then clicking the + button beside the name of a Generation 2i player and grouping it with the older players you want to add. There are other permutations, including sending audio to a Bluesound 2i device from an Apple TV. Apple’s support pages include a good tutorial on using AirPlay 2 with different devices. Lenbrook’s BluOS support page includes instructions on AirPlay 2 and Siri. Other than Siri voice control, what new functions does AirPlay 2 deliver to the Bluesound platform that can’t be accomplished with the BluOS app itself? Several things, one being the ability to stream audio to a Bluesound speaker from an Apple TV adapter. Another is the ability to stream music stored on an Apple device or in an iTunes library. The biggie may be the ability to mix-and-match Bluesound and other brands of AirPlay 2-compatible components into a multi-room system. But if you just want to play music from a streaming service supported by Bluesound, the BluOS app may be all you need. In that case, the Generation 2i models’ support of AirPlay 2 will be less relevant to you. 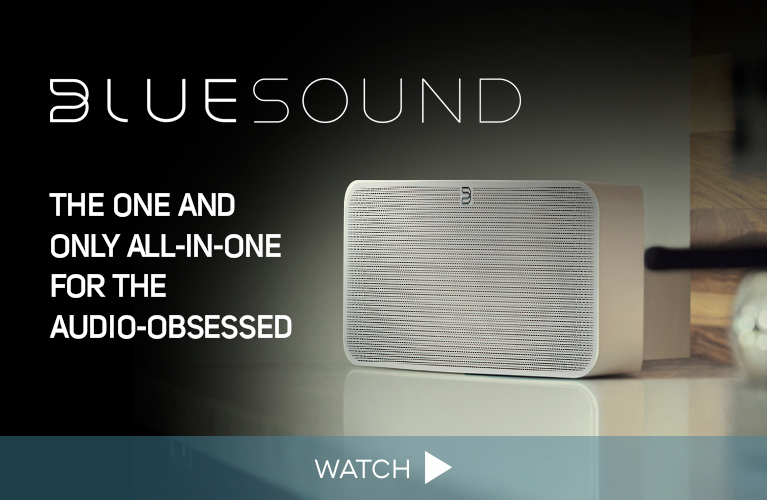 From the beginning, Bluesound products have allowed Bluetooth streaming from mobile devices. First-generation models came with a USB Bluetooth receiver dongle, while Generation 2 models had built-in Bluetooth receivers. Now, in addition to Bluetooth reception, Generation 2i products (except for the Pulse Flex 2i speaker) can transmit wirelessly to Bluetooth speakers or headphones. Moreover, Gen 2i models (again, excepting the Pulse Flex 2i) support Bluetooth aptX HD, which can stream 24/48 audio at 4:1 compression with a better signal/noise ratio than Bluetooth aptX, the top Bluetooth codec supported on Gen 2 Bluesound products. The bandwidth of aptX HD is twice that of aptX: 576 vs. 288kbps. If you’re curious about the audible differences among the various flavors of Bluetooth, check out Brent Butterworth’s blind listening tests. To play music via Bluetooth from a smartphone or tablet, go to the Bluetooth section of your device’s Settings menu, and select the Bluesound product you want to use for playback. When I selected the Vault 2i as a Bluetooth device on my LG G7 ThinQ smartphone, the two devices paired immediately: the phone confirmed that it was using aptX HD, and the Vault automatically switched to Bluetooth input. Easy-peasy. To stream music from the Vault 2i (or other Gen 2i Bluesound products) to Bluetooth headphones, open the Players drawer and press the three-dot option bar next to the player name. Choose Bluetooth headphones, and in the next screen confirm that you want to pair with these ’phones. I followed this process to pair the Vault 2i with PSB’s M4U 8 Bluetooth headphones, which also support aptX HD. It worked without a hitch, and I was able to adjust volume and skip tracks with controls on the PSBs’ left earcup. I played “Spain” by the Chick Corea Trio (augmented with guitar and flute), from their live album Trilogy (24/96 FLAC, Concord), and the sound was every bit as satisfying as a wired connection. With both the Bluetooth and wired connections, I engaged the headphones’ active mode with the RoomFeel option, but not active noise cancellation. Again, one might fairly ask what might be the point of including Bluetooth transmission in a multiroom music platform. After all, if you want to stream from Tidal or Spotify to wireless headphones, why not just use your smartphone or tablet? But especially with the Vault 2i, there’s a clear case for two-way Bluetooth: If you want to listen to the music library on your Vault late at night through headphones, the 2i version lets you do it wirelessly. I think the fact that Lenbrook is calling this new series Generation 2i rather than Generation 3 is significant: The new products offer meaningful but not huge upgrades over Bluesound’s Gen 2 models. Maybe the i stands for incremental. Bluesound’s Gen 2i upgrade seems particularly strategic in light of the AirPlay 2-related announcements coming out of CES 2019, notably the fact that major TV brands are adopting that feature. But what counts most for me is that Bluesound gets fundamentals right with this Vault 2i. Just as Lenbrook’s Gord Simmonds told me, the Vault 2i is an excellent transitional product for anyone with a load of CDs who wants to enjoy the convenience of file-based playback and the abundant musical choices offered by streaming services. There’s no need to install special software to rip your CDs. Just stick a disc in the Vault and let it do its thing. It doesn’t get easier than this. The more experience I have of BluOS software, the more impressed I am with its functionality, stability, and usability. Throughout the reviewing period, I experienced no crashes or hiccups -- the software just worked. I never had to struggle to figure things out. Instead, I could poke around and make the app do what I wanted, without worrying about breaking something. In short, while new features like support of AirPlay 2, Siri voice control, and two-way Bluetooth add to the Vault 2i’s appeal, what’s most impressive about the product is its unique functionality, and the overall excellence of the BluOS software platform.